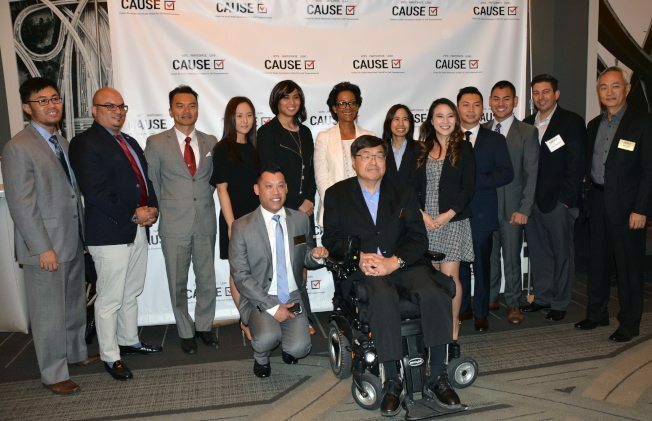 Los Angeles, CA – August 25, 2017 – Center for Asian Americans United for Self Empowerment (CAUSE) will host the 2017 Veterans Initiative Kickoff on Friday, August 25, 2017 at the Hershey/Crocker Room of the Omni Los Angeles Hotel (251 South Olive Street, Los Angeles, CA 90012), from 5:30 to 7:30 pm. Join us as we welcome the 2017 class of Veterans Initiative fellows! The kickoff will feature keynote speaker, The Honorable Jay Chen of the Mt. San Antonio College Board of Trustees & Lieutenant of the US Naval Reserve. This program is open to the public. Elected officials, community leaders, press members, family, and friends are welcome to join. Admission is free and light refreshments will be served. Please RSVP at CVIKickoff.eventbrite.com. $15 valet parking. Nearby parking lots are available at varying rates.